It was three years ago today when Dr. Avijit Roy, a Bangladeshi atheist activist and prolific writer, was slaughtered outside a book fair in Dhaka by Islamic radicals unable to deal with his alleged blasphemy. The Avijit Award will be given to a person who has been working toward the spread of rational and logical discourse, toward diminishing the influence of regressive fundamentalist religious thinking, toward building a society based on humane laws and without discrimination. The Award will recognize creative and heroic people, who — in spite of facing numerous hurdles that may include a threat to their personal lives — have persisted in their work through writing, artistic projects, activism or other means of expression to promote science, logic and humane ideas. “We are honored to be part of this overdue memorial to Avijit Roy and to be working with his widow, Bonya, who is continuing in Avijit’s footsteps to ensure Muktomona continues, and who has personally done so much to ensure the safety of other endangered Bangladeshis,” said FFRF Co-President Annie Laurie Gaylor. This is a wonderful way to remember the man who did so much to promote logic and reason in a country that, despite its secular democracy, often functions as a theocracy. FFRF and Ahmed will be working together to raise funds, choose the criteria, and pick the winner(s). 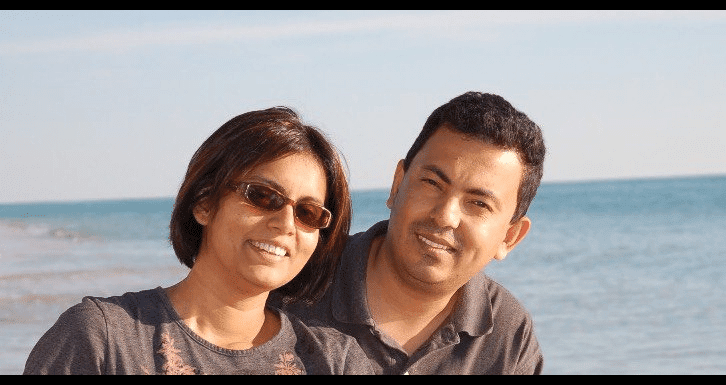 FFRF announces memorial award on third anniversary of Avijit Roy’s assassination. Avijit Roy initiated a new movement in free and rational thinking in Bangladesh, South Asia and Bengali-speaking diaspora communities. He had a Ph.D in biomedical engineering, but wrote prolifically on many varied subjects that include religion, atheism, cosmology, homosexuality, and Rabindranath Tagore. Seven of his books on these subjects were published in Bangladesh. He founded an online community called Muktomona (free-thinkers) that promoted rational discourses among mainly Bengali-speaking users across the world. As an advocate of freedom of expression, Avijit Roy took an active role in protesting the arrests of atheist bloggers in Bangladesh. His writings and activism earned the ire of fundamentalist Islamists and on February 26, 2015, he was hacked to death by militants at the Dhaka Ekushey Book Fair where his two new books were featured. His wife, Rafida Bonya Ahmed, known as Bonya, was also brutally attacked and critically wounded, but survived the assault. FFRF will be working with Ahmed in helping to raise funds and bestow the award or scholarship, with details to be announced. The Avijit Award will be given to a person who has been working toward the spread of rational and logical discourse, toward diminishing the influence of regressive fundamentalist religious thinking, toward building a society based on humane laws and without discrimination. The Award will recognize creative and heroic people, who — in spite of facing numerous hurdles that may include a threat to their personal lives - have persisted in their work through writing, artistic projects, activism or other means of expression to promote science, logic and humane ideas.